Spider Bites are wounds or reactions caused by contact with a spider. It is generally a very uncommon incident. What are the Causes of Spider Bites? Spiders generally bite on provocation (while defending their habitat), which may be unintentional or inadvertent, or when they are surprised suddenly. How is First Aid administered for Spider Bites? 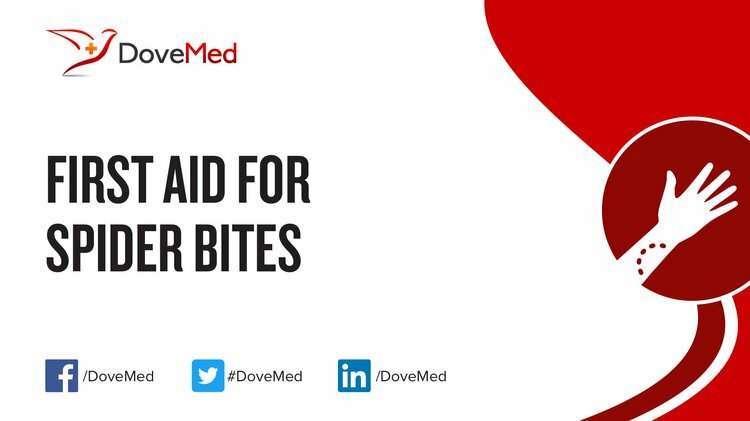 First Aid tips for Spider Bites: This can depend on the type or species of spider involved (if established). Who should administer First Aid for Spider Bites? What is the Prognosis of Spider Bites? White, J. (2010). Venomous animals: clinical toxinology. In Molecular, Clinical and Environmental Toxicology (pp. 233-291). Birkhäuser Basel. Halesha, B. R., Harshavardhan, L., Lokesh, A. J., Channaveerappa, P. K., & Venkatesh, K. B. (2013). A study on the clinico-epidemiological profile and the outcome of snake bite victims in a tertiary care centre in southern India. Journal of clinical and diagnostic research: JCDR, 7(1), 122. King, G. F., & Hardy, M. C. (2013). Spider-venom peptides: structure, pharmacology, and potential for control of insect pests. Annual review of entomology, 58, 475-496. Whittington, C. M., Papenfuss, A. T., Locke, D. P., Mardis, E. R., Wilson, R. K., Abubucker, S., ... & Belov, K. (2010). Novel venom gene discovery in the platypus. Genome biology, 11(9), R95. Sankar, J., Nabeel, R., Sankar, M. J., Priyambada, L., & Mahadevan, S. (2013). Factors affecting outcome in children with snake envenomation: a prospective observational study. Archives of disease in childhood, archdischild-2012.